So I've decided to start with another book meme. This one is called WWW Wednesdays and is hosted by Should Be Reading. I am currently listening to (still) Miss Peregrine's School for Peculiar Children by Ransom Riggs. It started off really well but it started to drag so I put it to one side while I listen to the first Harry Potter book. Now I've finished that, I'm back to Miss Peregrine's. I generally only listen to my audiobooks while I'm on the bus going to work or doing household chores so I don't get through them as quickly as my print books. 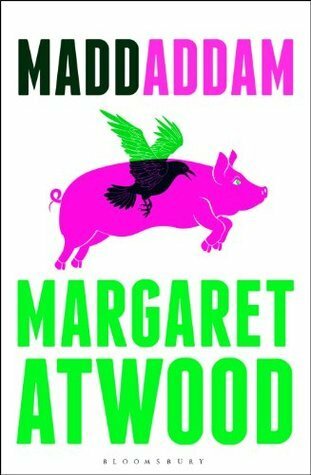 I am reading a review copy of MaddAddam by Margaret Atwood. I've enjoyed the other books in the series so I am looking forward to finding out how everything comes together in this book. I just don't seem to have the motivation to read it though. I keep picking it up and putting it down. Ooh! So this is more interesting question to answer for this week. 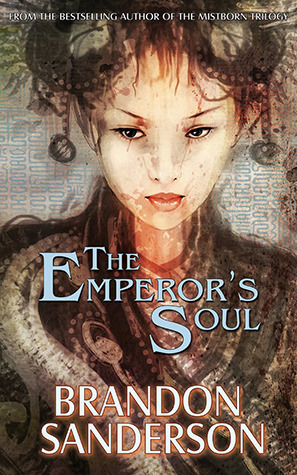 Over the weekend, I finished two short novellas which were both fantastic: Coraline by Neil Gaiman and The Emperor's Soul by Brandon Sanderson, two of my favourite authors. I read these books for a challenge and I had to write songs about them which you can read here. 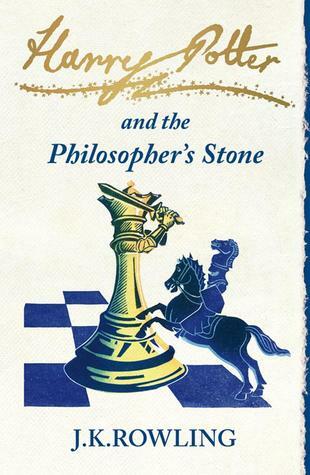 Another notable book I have finished was Harry Potter and the Philosopher's Stone by J.K. Rowling. I must be the last person to have actually read this book. It was an audiobook, narrated by Stephen Fry, and I thought it was fantastic. I'm not going to review it on here as nobody needs to read another Potter review especially one which is seven years late! I will say however, that I really wish that I had read this book as a child as I would have appreciated it more. That said, I still did really enjoy it and will be listening to the rest of the series. Yesterday I had a huge gap between clients (3 hours to be precise) so I took myself off down to the local cafe, bought myself a nice cappuccino and settled myself down to read. So I managed to finish Moon Called in that time. A great start to a new series for me. I'm looking forward to hearing more about Mercy Thompson. Decisions, decisions! Well, I am a member of a couple of book groups on Goodreads so I have some books to read for challenges and group reads already planned out. 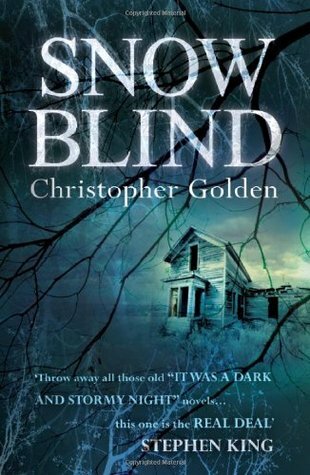 Two I need to read this month are Inferno by Dan Brown and Snowblind by Christopher Godden. 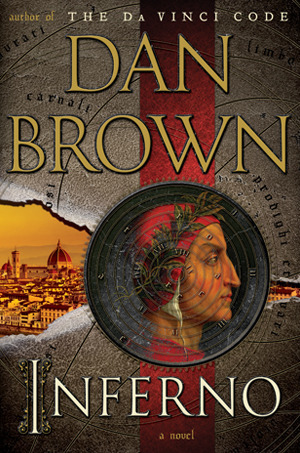 I think I'm more inclined to read Inferno so that I can mark another series complete (until Dan Brown releases another book)! Neither of these choices are fantasy or science fiction so whatever I do decide to read out of those two, I won't be reviewing on here, just on Goodreads. Welcome to WWW Wednesday. It's a very fun meme. It's lovely to see what other people are reading. Be warned though, it's not good for your wishlist! I add to mine so much. 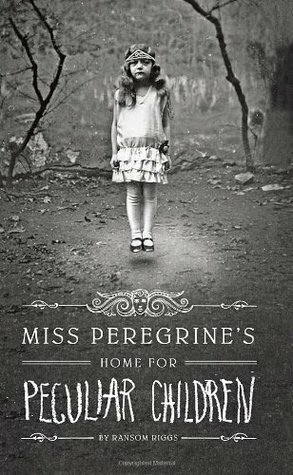 I can't wait to read Miss Peregrine's Home for Peculiar Children. I have heard such mixed reviews though. Yes I can imagine it definitely adding to my wishlist. I have no control with books! Yes it does seem to have mixed reviews for that book. I'm getting the impression that the print version would have more impact than the audio. Hello! Have you been enjoying reading Miss Peregrine's Home for Perculiar Children? I've been meaning to read that for such a long time! 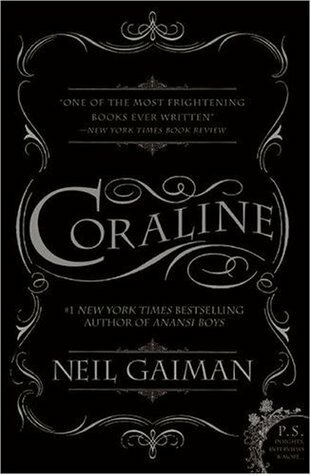 I also want to read Coraline since I recently read The Ocean at the End of the Lane by Gayle Forman and I loved it! Miss Peregrine's started well then it slowed a bit. It has picked up again but I'm still not enjoying it as much as I was. I don't think it's suited to the audiobook format - I'm missing out on all the spooky photos. I adored Oceans too. I think you're right - the print book is probably better. I really like audiobooks. I can't read on the bus as it makes me feel sick so I listen to audiobooks on there instead. I do prefer print books though. Glad you've joined WWW Wednesday. Hope you enjoy it. Riggs' book has been on my radar for a while now, but I haven't made time to read it yet. Gaiman is on my list of authors to read list. Hope you enjoy your upcoming books. Welcome to WWW--it's fun here! I haven't read any of the titles on your list--but like you, I nearly always have more than one book going at a time in addition to an audiobook. I've heard a lot about Miss Peregrine . . . I may have to give it a try at some point! Yes I love Stephen Fry. It's my first audiobook with him as a narrator though. Funnily enough, I am listening to him host QI on TV right as I am typing this. I never read Miss Peregrine but have wondered about it for me. I read the first two Harry Potter books aloud with my son. We alternated chapters, and yes it took awhile, but we enjoyed doing that and then discussing the story. I've read all but the last 2 of the Mercy Thompson series--not my usual cup of tea at all, but for some reason I really enjoy them! I'd say, keep reading the series. Have a great week..
You have to read the rest of the Harry Potter series. I am obsessed with them! They are just so freaking good. I need to read Miss Peregrine's Home for Peculiar Children because I have heard really wonderful things about it. Well, you're not the last person to read the Harry Potter series, I still haven't read any of them. But I mean to correct that soon. I have some books I need to get to first because I'm afraid once I get started I won't want to stop!! :) I'm not a fast reader, so I do have to allot myself enough time to get through my books. Welcome to WWW Wednesdays - it's a great mime! You have such a great collection of books here. I hope you are enjoying Miss P - I loved it! I've heard so much about the Mercy Thompson series - I must check it out at some point! Hope you enjoy the meme! Thanks. Check out my review for Moon Called.